Over the past few months we’ve met several church leaders and a recurring theme in conversation has been “I can equip people to get to grips with the Bible no problem, but this leadership stuff – we didn’t get taught that”. Which is where we fit in! We are passionate about equipping leaders (within churches) with the practical skills to lead local mission in ways that fit their context. Following research into the big issues and gaps those leaders are facing, we are launching a series of workshops over the next year. This will include a series of five workshops in Dublin. Download the 2014-2015 Dublin workshop schedule. 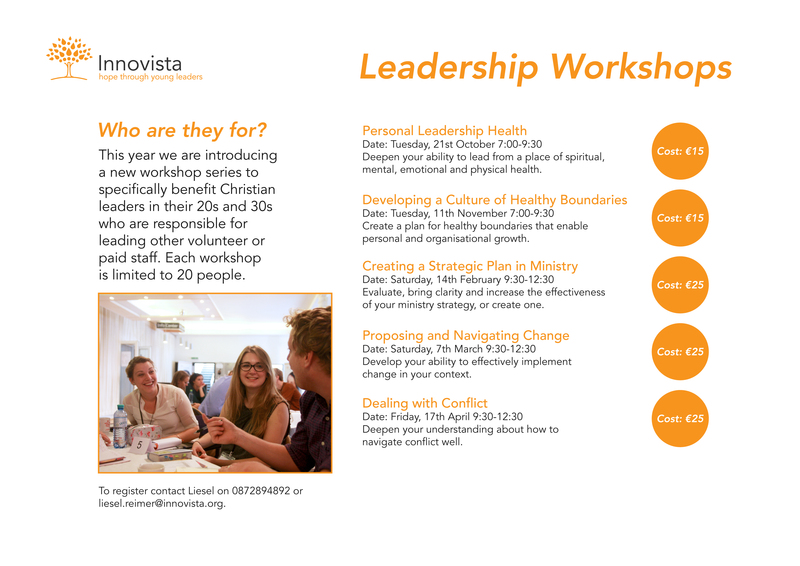 We’ll also be running some workshops for the leadership teams of specific local churches. We’re excited about serving the church in this way – if you’d like to find out more please contact us.